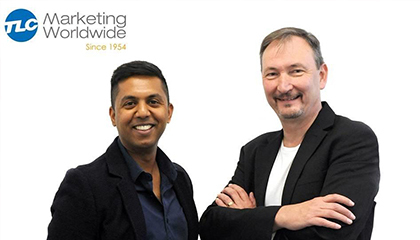 TLC Marketing Worldwide - Africa is proud to announce the promotion of Agency Director Preneshen Munian to Managing Director and Derek Miller former Managing Director to the position of CEO for Africa and the Middle East. “With the successful growth of our business in South Africa over the last five years, I am delighted to announce our expansion into other African and Middle East Markets. We are receiving more and more requests from clients to offer our services across the whole region and not just South Africa, therefore we are looking at a number of markets to open up offices in before year end, exciting times lay ahead for TLC Marketing” explained Miller. Munian commented “ I am honoured to be given the opportunity to lead our South African business as Managing Director. Over the past 5 years I’ve led the Sales and Marketing team and we have achieved over 50% growth year on year by creating world class campaign concepts for some of the biggest companies in South Africa. With that being said, I will certainly embrace the greater challenge that lies ahead and I look forward to driving our business even further”. TLC Marketing is the world’s leading added-value agency. TLC has over 20 years’ experience in delivering successful campaigns ranging from loyalty platforms to consumer incentives by using intelligence from 17 international offices as part of the TLC Marketing Worldwide Group.